Welcome to the Official Website of Talsery Biofuels. 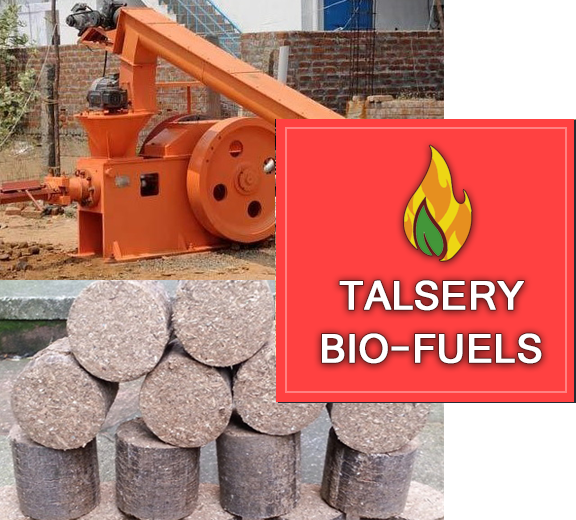 Talsery Biofuels converts Agri-waste to Biomass Briquettes used as Fuel. Biomass Briquette are clean, green and renewable option to Fossil Fuels. Let's use briquettes the renewable source of energy and contribute to reduce Global Warming. Every year millions of tons of agricultural waste are generated– Coconut Fronts, Palm Fronts, Rice Husk, Paddy Hay, Sugarcane Trash, Shells (Groundnut, Coconut and Arecanut), Stalks, Saw Dust and the like. These waste have a bulk density or 0.1 to 0.2 g/cm3 and hence difficult to handle and economically unviable to transport. These are either mulched or burnt inefficiently in their loose form causing air pollution and contributing to Global Warming. Conversion efficiencies are as low as 40% with particulate emissions in the flue gases in excess of 3,000 mg/ Nm³. Large percentage of unburnt carbonaceous ash is difficult to dispose. However, these wastes provide a Renewable source of energy. These can be converted to high-density material called BRIQUETTE. 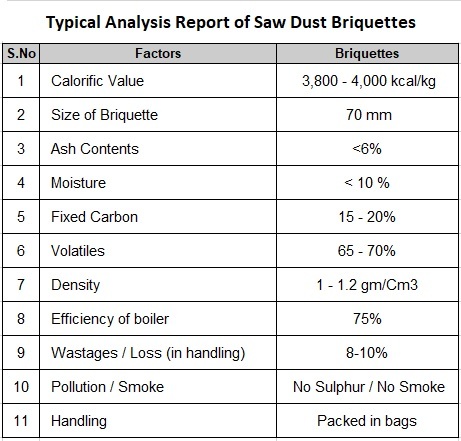 Briquettes have a bulk density of 0.6 to 1.1 gm/cm3, which makes it ideal to handle and transport. Manufacture and Supply of Biomass Briquettes. 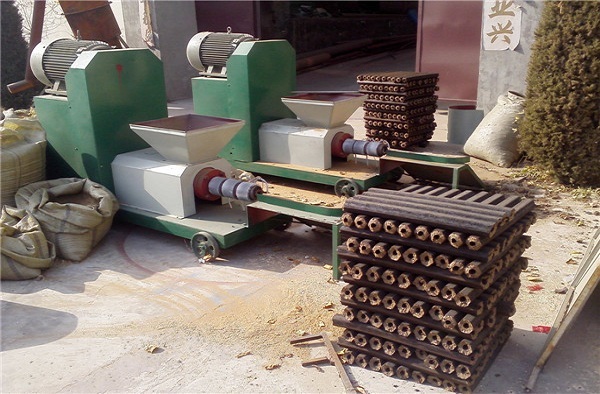 Contract Production of Briquettes & Pellets. 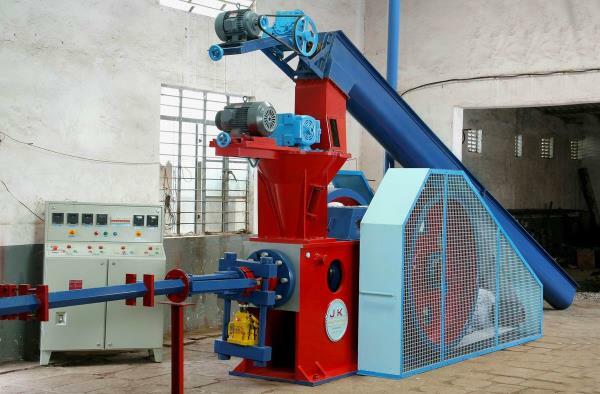 Supply, Erection and Training of Biomass Briquette Machines. 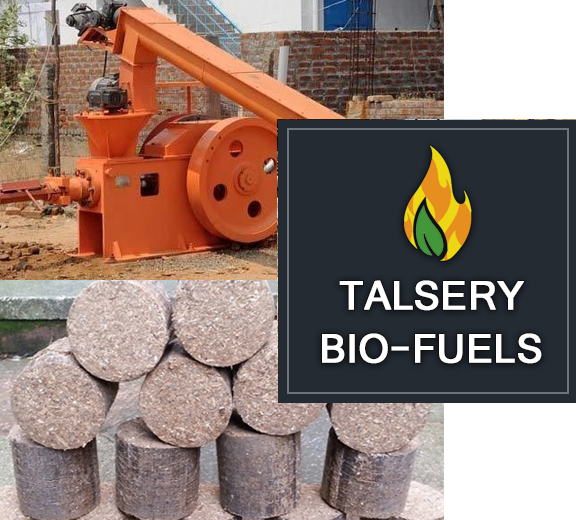 Talsery Biofuels primary business is to manufacture and supply Biomass Briquettes to be used as Fuel in Boilers and Industrial Stoves. 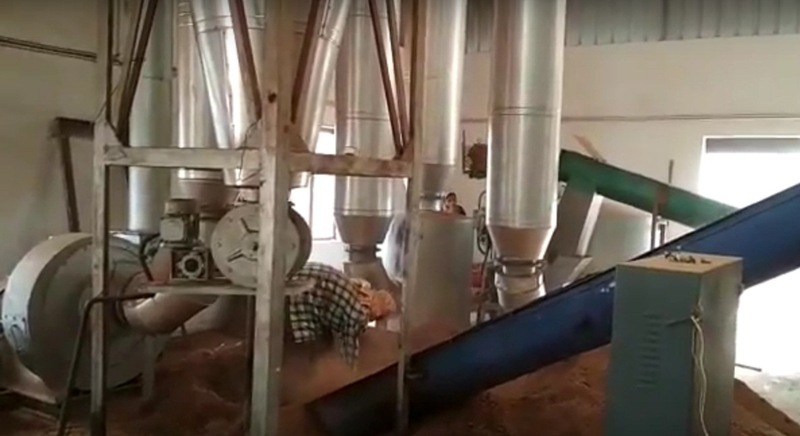 Production unit located at Koothuparamba, Kannur District, Kerala to take advantage of the waste generated from the Plywood industry and Sawmills in the immediate vicinity. Biomass briquettes are a fuel of the future. Biomass Briquettes are made from Agricultural waste, wood cutting waste (saw dust and chips) and forestry waste. Commonly known as white coal or bio coal, these are a natural, eco-friendly and economic replacement to fossil fuels in boiler and heating applications. Biomass briquettes are classified as a renewable source of energy and avoid adding fossil carbon to the atmosphere. Europe and the United States have pursued and perfected the reciprocating Ram/Piston press while Japan developed the Screw Press technology. for a variety of energy uses, mainly in Industrial Stoves and Boilers as fuel. Briquettes burn cleanly and therefore eco-friendly. Screw press briquettes have a concentric hole which gives better combustion characteristics due to a larger specific area. The two major impediments for the smooth working of the screw press, the high wear of the screw and the comparatively large power consumption, were overcome by incorporating biomass feed preheating into the production process. Ram Pressed Briquettes have a bulk density of 0.6 gm/cm3. Many piston presses operating in India is based on ram and die technology. 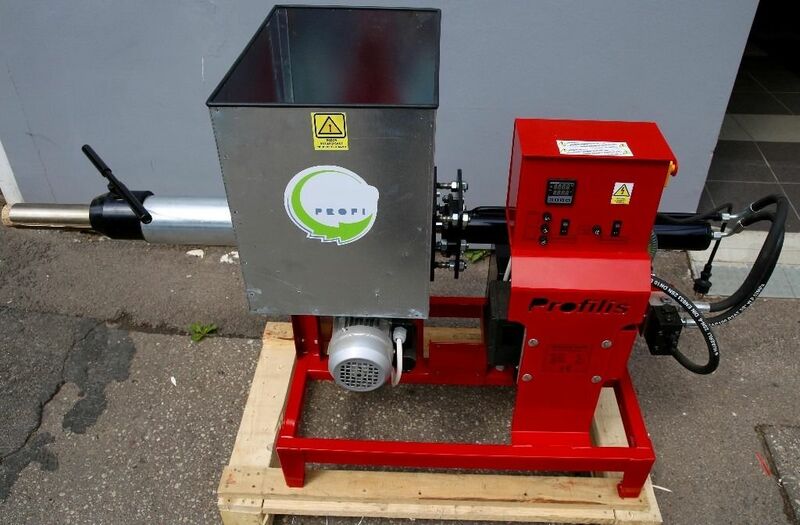 In this case the biomass is punched into a die by a reciprocating ram with a very high pressure thereby compressing the mass to obtain a briquette. The briquette produced is 60 mm to 110 mm in external diameter. Hydraulic Pressed briquettes are of High density, 1.1gm/cm3 and do not disintegrate easily. 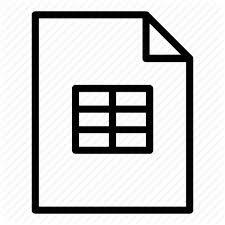 The Power consumed is comparatively less than Ram Machines. As the bulk denisity is high burning durations are longer, hence yield up to 40% more. Press is completely automated, hence reduces human intervention and improves safety factors. Briquettes are ready substitute of Lignite/Coal/wood in industrial canteens, hotels, Hospitals, boiler and brick kiln for thermal application. Process of converting biomass to solid fuel is also non-polluting. It does not require to add any binder/chemicals so it is 100% natural. Agro–forestry wastes are disposed in a hygienic way by converting them into briquettes that do not cause pollution nor hazardous to health.